Head is hand-forged with a tear-dropped eye. Tomahawk has an octagonal bowl adorned with file decorations. Another decorative element to the head are two diamonds, one on each side of the eye filed in relief, like the original pipe tomahawk. 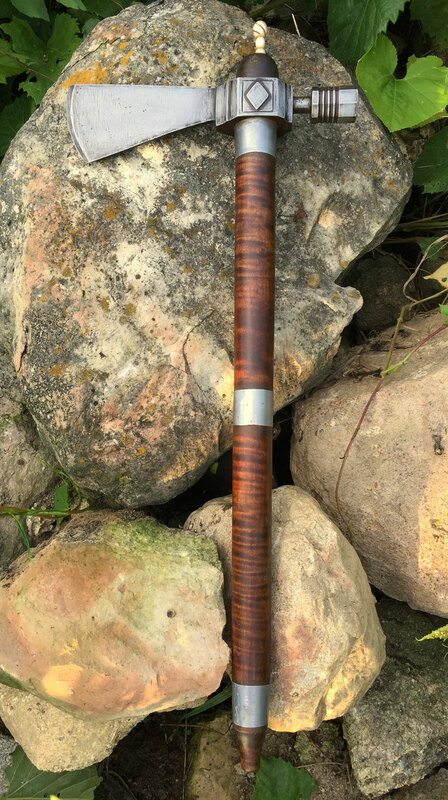 The handle is drilled and hand-shaped from figured sugar maple. Adorning the handle are three poured pewter bands. At the end of the handle, is a hand carved tulip shaped mouth piece. 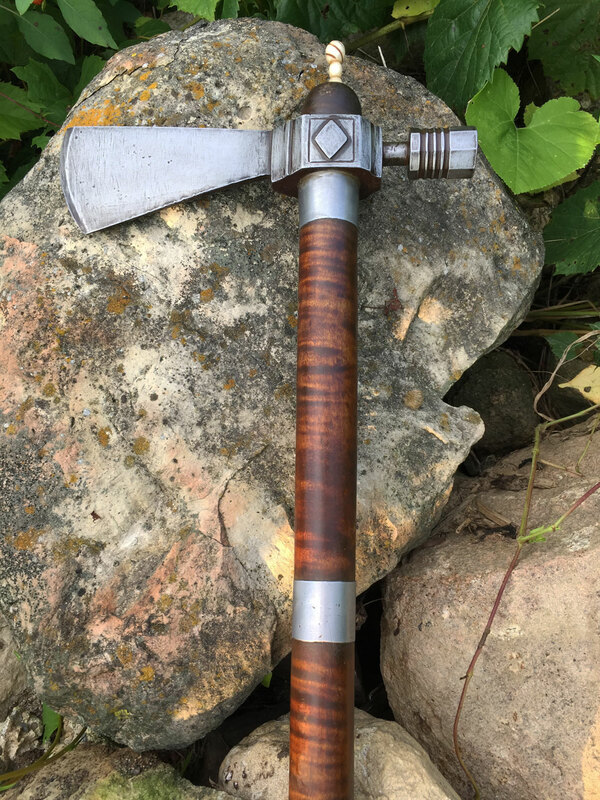 Click here to read about a rare pipe tomahawk style.